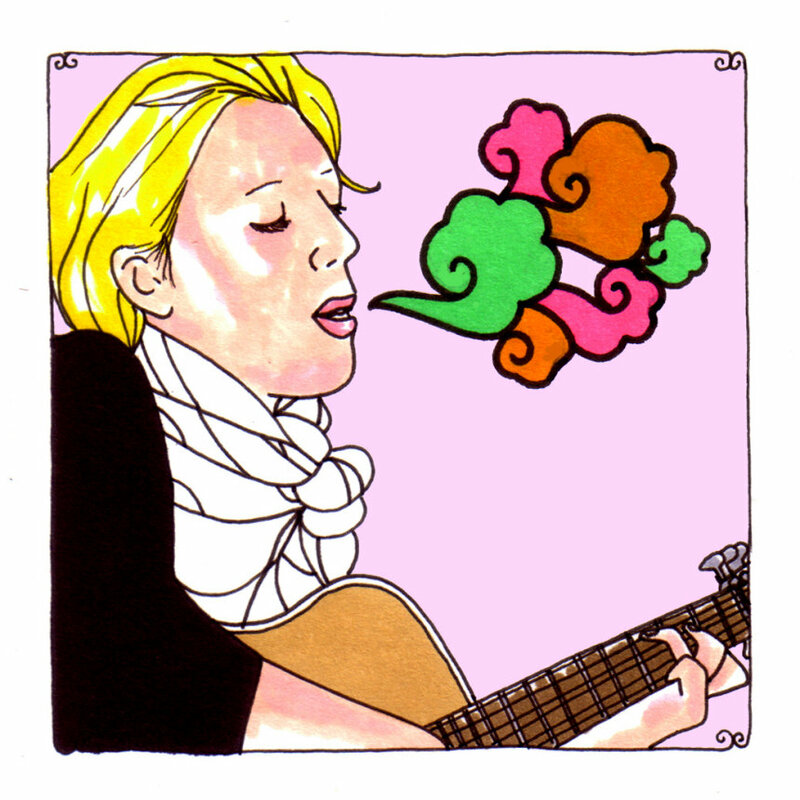 Could love really be as miserably hard to attain and hold onto as Martha Wainwright tries to make it out to be? We're really forced to just take her word for it and nod or heads in agreement that it is an unbearable nightmare that only occasionally seems to work itself out into a proper form. Love is a porcupine that likes to just stretch itself out on your chest, roll across your face and eyes, remind your hands that it needs to be tended and still does everything in its power to hold back an airborne attack of quill fire - warning shots or not. Don't ever get too close and don't ever think that this love porcupine is a friend or a friend of a friend. That's when you get your face blasted and that's when the gallery laughs at your foolishness, only to get stung similarly sometime not that long after, never once thinking that there's a lesson in any of the madness or carnage. Wainwright gets drunk on the complications and the inner-workings of misguided affinity and lust, lusting herself on the many delicate variables that have to be perfectly aligned for anything even to get off the ground, much less grow into something that would look like a relationship. She's shown in various states of undress on her newest album and its promotional materials, lying on a small couch, arching over the edge and seemingly wiped out, perhaps with all of the wickedness of love weighing on her like a paper press, draining her of her lights and sparkles. Her songs carry with them the kind of sad and perverted thought that love isn't just a ruined act, but one worth letting go of, but them seconds later it dawns on you that she's nonetheless still singing all of these songs as love letters to the very disgusting feeling and whimsical subject. She doesn't just cast off her cares and concerns, but makes them into graphic notes of anger and frustration. They leap out at you and put on a half-face - one that will scare the piss out of you and make you never pray for or dream of a love ever again and one that will seduce you into thinking that all of the bad experiences have come and gone and you're due this time. Wainwright fills her songs with theatrics and soaring vocal play, taking us into the succulent realms of heresy and innuendo that accompany every briefly successful and failed attempt at making the old game work, at making a cameo in the land of blissful happiness. But she sings, "My heart was made for bleeding all over you," and that's the Wainwright that believes the most. It's the side of her that she normally comes from. Despite all of her desire to think good thoughts about this tender, tender thing called love, she finds that it always has an evil eve, one that doesn't turn back into what it once was.